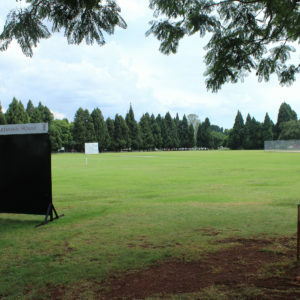 The 2020 Grade 0/1 Open Day on Saturday 2nd March saw a large turn-out of prospective parents and over 200 applications have been received for 55 Grade 0/1 places in January 2020. Readiness tests for 150 of these boys have been carried out this week. The Grade 5 boys had a good trip to Aberfoyle last week and congratulations to Tawananyasha Nyemudzo for attaining an “Attitude” Badge, given to him by Aberfoyle for being a good ambassador for his school by being well behaved, cheerful, willing and polite. 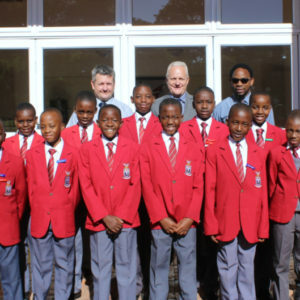 Unfortunately ten Grade 5 Bernard boys let themselves and Hartmann House down by not behaving well enough. Mr Martin has sent letters to the parents of these boys. The Grade 4 visit last Monday to Chengeta saw a couple of delays by the Chengeta staff, so not all activities were completed. 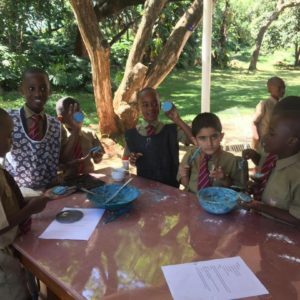 Both the Grade 3 and 4 Lenten visits went off well and thanks to you the parents for the donations that the boys took with them to the orphanages they visited. 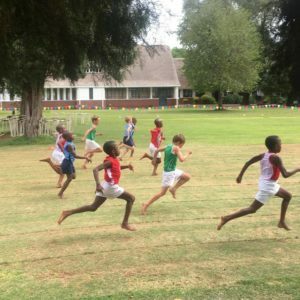 The Hartmann House Athletics team did well at the Bishopslea track meeting last Wednesday and Hartmann House came second, five points behind St. John’s. 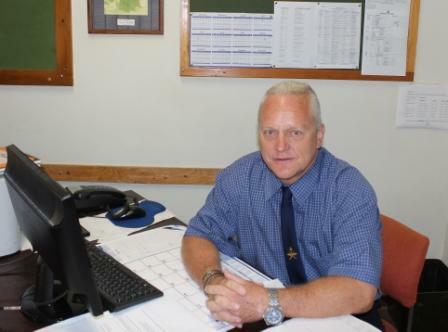 More results are in the ‘Sports Desk’ section of the newsletter. Unfortunately the Grade 1 Ignatian evening last Tuesday was not well attended. 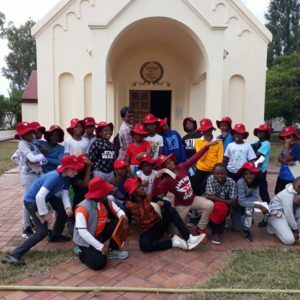 The Mass Servers and First Holy Communion boys had a good day last Saturday out at Arrupe College and Mrs Marimira said the day was very worthwhile and spiritually uplifting. Well done to all the Parents/Guardians who attended the Grade 3 to 7 Consultation afternoon on Monday; it was a fantastic turn-out. If you didn’t manage to see the class teacher or any of the specialist teachers you needed to see, please make the necessary appointment to do so. The idea of the Grade 7 boys accompanying their parents to the consultation was positively received by the boys and class teachers. However, there are a few things that the school needs to ‘fine tune’ for next year’s consultation. In the last Cross Country meeting of the term, the “A” team did exceptionally well at Ruzawi on Wednesday afternoon by coming first out of 19 schools and beat St. John’s into second place by 14 points. Full results are in the “Sports Desk” section. Tribute must also be paid to the “B” team cross country members for their excellent effort and pleasing results throughout the term. The Grade 7 parents’ PIP consultancy evening was held yesterday evening and the Grade 7 classes went on their Lenten visit today. Next week it is the Hartmann House “Inter-House Athletics Week”. Tuesday 19th March sees the jumps and long distance events taking place at 2.00pm. Parents are more than welcome to come along. On Saturday it is the main Inter-House Athletics track events, commencing at 8.30am. All grade 3 to 7 boys are to attend; it is a COMPUSORY event. Boys must be here by 8.00am at the latest and the first event commences at 8.30am SHARP. The SDC will be selling cool drinks/water and burgers to parents. Boys should bring their own ‘juice’ and healthy ‘eats’ for the morning. Boys will NOT be allowed cool drinks, and burgers, until AFTER prize giving, whether they are running or not. 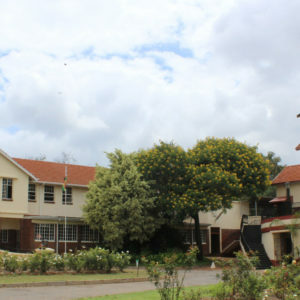 All boys must stay in their house shelters for the duration of the Inter-House Athletics and all boys must wear their house vests, white shorts, full school tracksuit, school hat and trainers/track shoes. All Grade 3 to 7 parents are expected to provide a plate of eats on Saturday 23rd or provide your class rep with Bond/RTGS $15. A separate letter re ‘eats’ will be sent out to parents early next week. The Inter-House Athletics will be over by lunchtime. It will be followed by the SDC Fun Day. The Fun Day is open to all Hartmann House parents, and it would be good to see the Infant parents coming along. Details regarding the Fun Day will be included in the ‘eats’ letter next week. Friday 22nd March – The Companions and Crusaders Club visit to Pedro Arrupe has been postponed to Friday 29th March. Monday 25th March – Grade 0,1 and 2 Consultation Day in the Paul Mikki ECD Centre @ 1.30pm. Mrs Hulett will let the Gr. 0, 1 and 2 parents know the plan for the afternoon. Thursday 28th March – Grade 6 Lenten visit. Friday 29th March – Infants’ Athletics at 8.30am. Mrs Hulett will send more details to Infant parents. PLEASE NOTE – the African Music Festival scheduled for Saturday 30th March has been cancelled due to the prevailing economic situation. 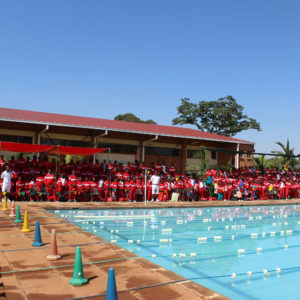 This week-end, 16th and 17th March, we have nine Hartmann House boys taking part in the Zimbabwe Junior National Swimming Competition, being held in Bulawayo. Good luck to the following boys:- Jayden Mangunda, Kudakwashe Muzvongi, Fuqi Lu, Shingai Shumba, Sebastian Jeffery, Tarirai Madamombe, B’Busiso Msimanga, Festo Ndenzako and Ian Karenga. Tarirai Madamombe and Festo Ndenzako have also been chosen to swim in the Level 3 Age Group Swimming Championships to be held in Germiston, South Africa, from 27th March to 2nd April. Congratulations to these two boys. Mrs Tomlinson, the Hartmann House Swim Coach, has been appointed as Coach of this team. Congratulations to her too. A reminder from the Board of Governors that all 1st Term School fees should by now have been paid up; or payment plan dates adhered to. Here’s to a great week of Inter-House Athletics and I am sure we will see a large turn-out of parents at the Inter-House Athletics and Infants’ Athletics meetings.